PRAGUE (AP) — A medieval astronomical clock that is a major tourist attraction in Prague is working again after more than eight months of repairs. 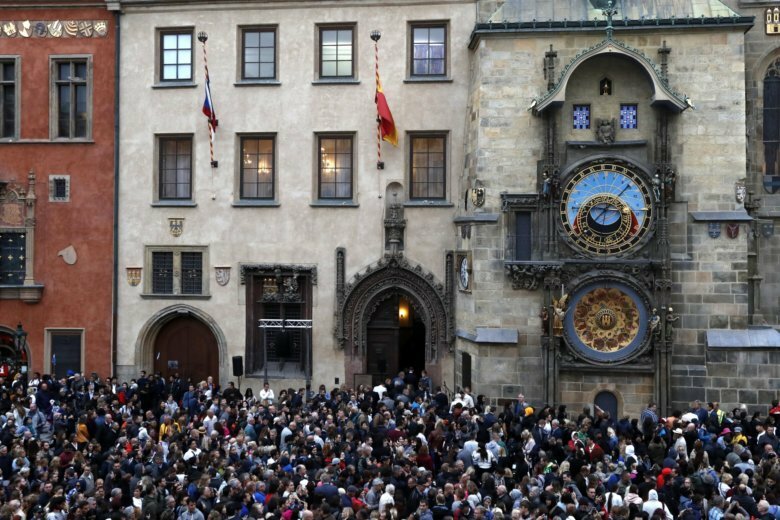 Thousands of people gathered in the Czech capital on Friday evening to watch as the Twelve Apostles and other figures appeared on the clock for the first time since Jan. 8. The timepiece was installed on a town government building in 1410. For its most significant repair job since World War II, the clock was disassembled so the parts could be restored. A fire badly damaged the clock near the end of the war. Some of the postwar repairs were not done properly and needed to be fixed.